On June 12, a car accident was reported to State Police. The news of the accident was given to police around 11:00 in the morning and emergency responders were dispatched to the scene quickly after receiving this information. The accident was reported to be moderate. Upon arrival at the scene which occurred at Route 32 at Exit 8, first responders secured the scene and directed traffic around the area so the accident could be assessed. One individual was injured in the accident, but the extent of their injuries is still under review. No fatalities were reported. Traffic in the area was impacted while the scene was cleared. Statements were taken at the scene. A car accident can happen when we are least expecting it. When driving, it can be quite easy to get distracted by other things around us and forget to pay attention to the road. Negligence when behind the wheel is a serious matter, however. It is vital to remain aware whenever they get behind the wheel. This is especially the case when driving on large, busy roads such as highways and freeways as accidents on these roads can be very severe. Some car accidents can be quite severe, and accidents that happen on highways tend to be critical and can sometimes cause catastrophic injuries. Drivers need to remain especially aware of their surroundings when on these roads. 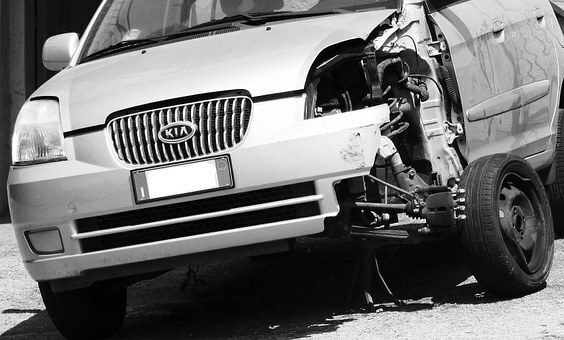 Some car accidents can cause injuries, and these can impact victims’ lives for years to come. When victims are injured in these accidents, they have a right to move forward with seeking compensation so they can focus on the healing process and move forward with their lives. As dedicated members of the community, we would like to remind all drivers to follow traffic laws at all times and make a commitment to keeping roads safe. We at the Law Offices of Jeffrey S. Glassman know how dire some car accidents can be as we often help victims in the wake of these accidents. We know that accidents sometimes happen, so we are also here to help victims get the help they need so they can get back to their lives.